Thought I’d give this topic the heads up! Tax refund agents, Chris and Jaxon are ready to bare their heads in aid of Macmillan Cancer Support – a worthy cause and one that has probably touched so many of us. So far over 21000 folk have set themselves up for the shave, raising over £3 million pounds. Chris and Jaxon’s big day is 26th November, just in time for winter and won’t they look great for Christmas! Their target is £1000 and they are now over half way to achieving it. 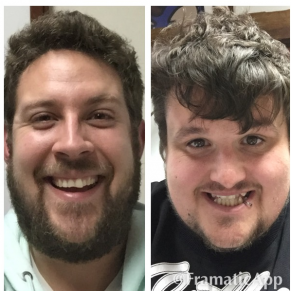 If you would like to help please see the Chris and Jaxon Brave the Shave page. Well done, boys, can’t wait to see the results!